This blog contains a brief overview of the most important aspects when developing Azure API Apps to extend Logic Apps: you will discover important things to note, useful links to the required documentation and some tips & tricks. Azure API Apps are pure Web API’s. To ensure smooth integration with Logic Apps, they should expose Swagger documentation. Therefore, you can use several libraries such as Swashbuckle or TRex. Polling trigger: check for new data at regular time intervals. You can choose whether to continue polling when there is new data available. The TriggerState object is always passed on from the previous polling event to the next and can be used to identify new data compared with the previous run. You can find an example here. Push trigger: this trigger uses web hooks behind the scenes. When the trigger is saved, the Logic Apps registers its callback URL in the source system, for a specific event. When an event occurs, the source system API must push data to that callback URL, so a Logic Apps is triggered. When the triggers is deleted, the Logic App unsubscribes itself from the source system. You can find an example here. Request / Response: used for short running operations that can be executed in a request / response way, within an acceptable timeout limit. You can leverage the HTTP + Swagger to call these operations. Polling action: similar to the Polling Trigger pattern, you can use the polling mechanism to check whether a long running operation is completed or not. Webhook action: similar to the Push Trigger pattern, a specific Logic App instance will register a webhook in the target system API, to get notified when a specific event occurs. When a Logic App run is cancelled, the webhook gets unregistered. This pattern is optimized for long running operations. The API app can be easily published from within Visual Studio when you are in development mode. There are multiple options to setup continuous deployment – using ARM templates is my personal favourite. You can find an example here. Web APIs can run easily on your local development workstation, so local debugging is the most productive way to solve issues. However, in some particular cases, you want to debug the cloud instance of your API App. This is possible, if you configure it the right way! In Visual Studio open the Cloud Explorer and navigate to the API App. 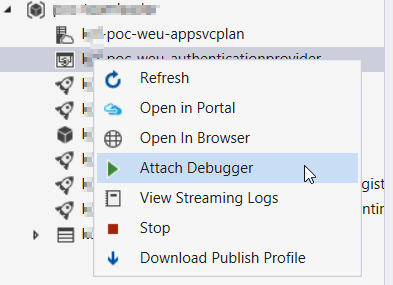 Choose Attach Debugger and within a few seconds, you can hit your breakpoints locally, but executed in the cloud. In many scenarios, you create custom API Apps to extend Logic Apps with functionality that should not be publicly available. 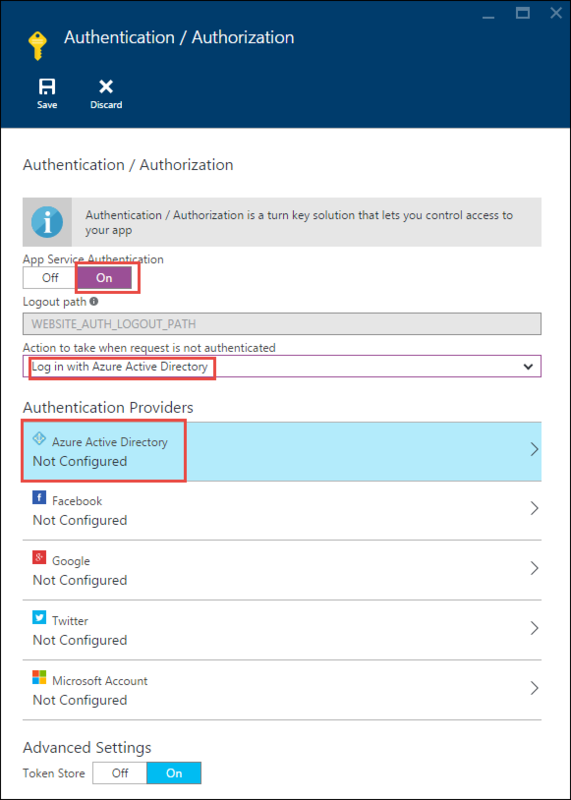 It’s extremely important to know that, by default, Azure API Apps are exposed on the internet without any authentication / authorization applied. If you don’t take action, you can introduce a huge security breach! Fortunately, there are authorization solutions available that require no coding at all! You can setup Service Principal authentication. Therefore the following steps are required, in depth documentation can be found here. Provide the Service Principal credentials within the Logic App designer. It’s advised to retrieve client secrets directly from Azure KeyVault, as explained over here. The new Managed Service Identity feature can also be leveraged over here. Good luck with extending your Logic Apps through API Apps! Key Vault must be automatically provisioned during releases. This is where Key Vault comes with a caveat - in this blog post we'll talk about a workaround.